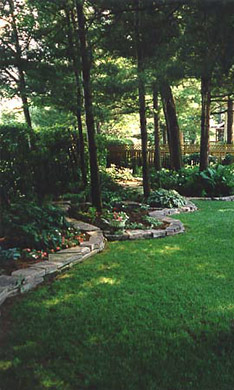 Grass would never grow in this shady portion of a customer's backyard. There is however, lots of shade loving plants that can be used instead. A flagstone walkway meanders through the garden and a wallstone border gives it lots of dimension and definition.